Our Dreams casino review and ratings will help you evaluate this online casino. Established in 2001 it has a vast player numbers, so your chances to win are pretty high. Dreams casino offers over 200 Real Time gaming slots, video poker, roulette and keno games among others. 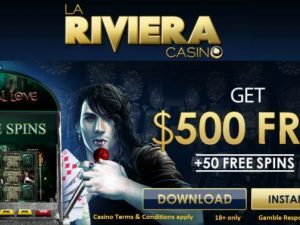 Casino is famous for weekly promotions, no rules bonuses and is USA and Australia friendly. 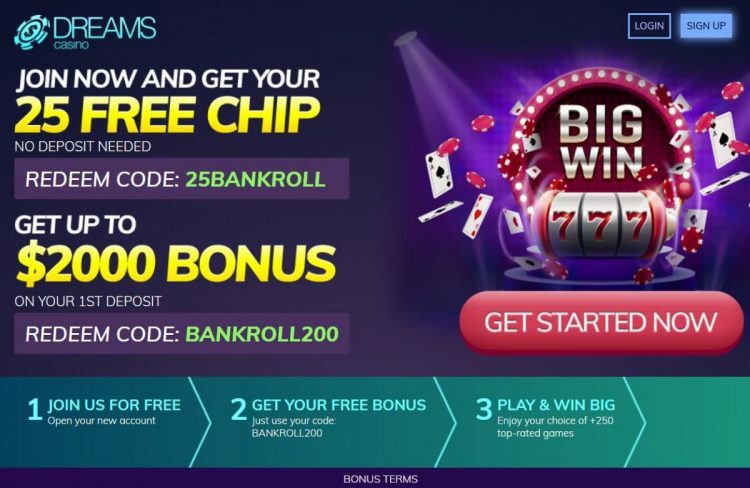 Due to a slower payouts, that take around 4 weeks, Dreams casino has negative reviews on many sites, but by our experience, this casino is 100% trusted and safe to play at. The majority of complaints are due to people abusing no deposit bonuses. We recommend not to use consecutive free bonuses, if you want to cashout with no hassle. Featured Dreams casino bonuses cater for the needs of any player. New players are welcome to try casino with $25 no deposit bonus. Followed by 200% no rules welcome bonus. 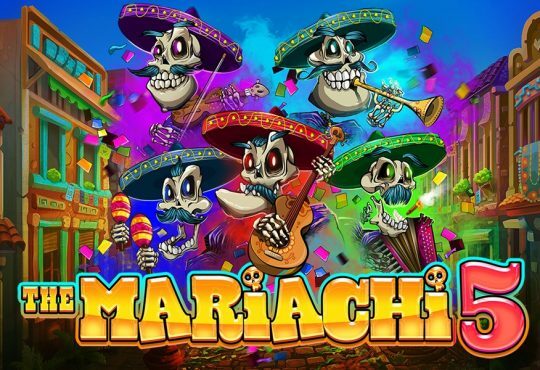 Weekly no max reload bonuses, free spins and occasional free chips are all yours to enjoy and win big. Casino accepts Bitcoins. Just to keep clear, – when you accept casino bonus, you are bound to wagering requirements, before a cashout is allowed. Regular playthrough requirements are 30x times for slots, keno and scratch card games. Table games, video poker, roulette hold 60x wagering requirements. No rules bonus has 1x playthrough. No max bonus a low 5x times.